A gal pushing 30 can still appreciate a good brownout (blackouts are soo college) and happy hour is exactly the place to achieve that state of mind. What's better is crawling into bed before it's even 9pm to avoid the late night social scene! Everyone does that, not just me... Right? Me and my sophisticated lady friends frequent any happy hour that serves $1 oysters and other finger foods to nibble on while we rack up a bar tab so high you would wonder how our wallets survive full price. Read up on the following happy hours that will leave you feeling full and a bit off-balance. Weekdays between 4PM-7PM you can drink $4 specialty cocktails and beer. The beer selection is wild. With seafood themed craft beer like Lobster Ale and Oyster Stout you are bound to try something new, or stick to seasonal brews by Bluepoint and Harpoon. 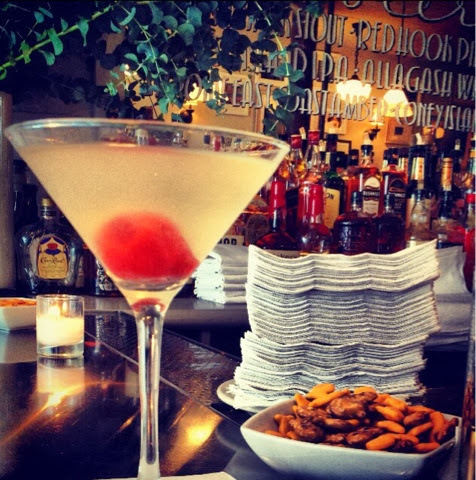 Load up on dollar oysters or get a quick buzz with $4 vodka oyster shooters. 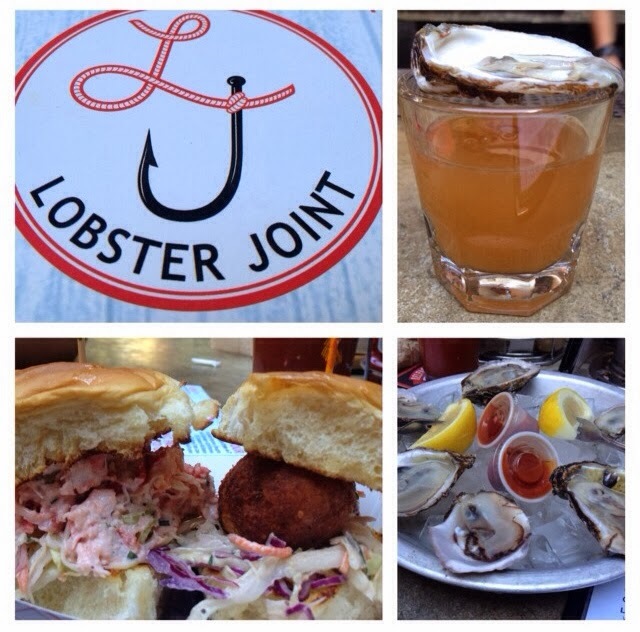 The best part is the $4 sliders (lobster/crab cake/fried oyster). My favorite is the lobster slider because there's plenty of meat. Three of these and you got yourself a full size lobster roll, half the price of anywhere else in the city. Excluded from happy hour pricing is the $9 Lobster Claw Bloody Mary, which I come in for any time of day. It's a meal in a glass with plenty of garnishes to crunch on while you wait for happy hour to start. The happy hour menu is so extensive I don't see why they bother with a full menu! 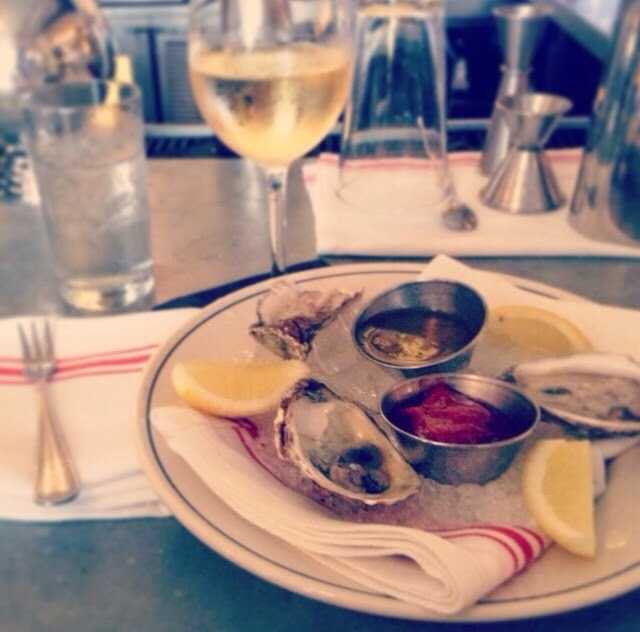 Dollar oysters are only the beginning. Happy hour food includes different kinds of oysters and clams, shrimp corn dogs, shrimp avocado sliders, and fish tacos. Drinks include wine, beer and Martini's like the Hot & Dirty (vodka, olive juice, Tabasco). The atmosphere at Mermaid is lively with a sea theme and an open front and a few tables facing the street. I sat at the bar, where goldfish were served like trail mix at a dive bar. I love a good theme! Happy hour is available at tables, not only at the bar. NoLita - Elizabeth St. & Kenmare St. This is a tiny place with patio seating, great for brunch and happy hour! The happy hour is from 4PM-7PM. Though the menu is small, it's just right. Shrimp cocktail with seaweed salad, cheese boards, and raw oysters and clams will be just enough to compliment several glasses of discounted wine and beer. This friendly Japanese BBQ restaurant and bar is open all day for lunch, dinner, and happy hour. Happy hour runs from 11:30AM-6PM daily, and even 9:30PM-closing on week nights. Drinks are all half off, so for me that means $3 Sapporos and $5.50 Lychee Martini's. As far as food goes, the entire menu for Japanese BBQ is discounted. Bar food like bibimbap, spicy tuna crunch, and wasabi shrimp all range from $3-$6. SoHo - Mercer St. & Prince St.
With a standard happy hour from 5-7PM, there's not a lot of time to get that strong buzz. But for now, you must go and take advantage of those two hours! 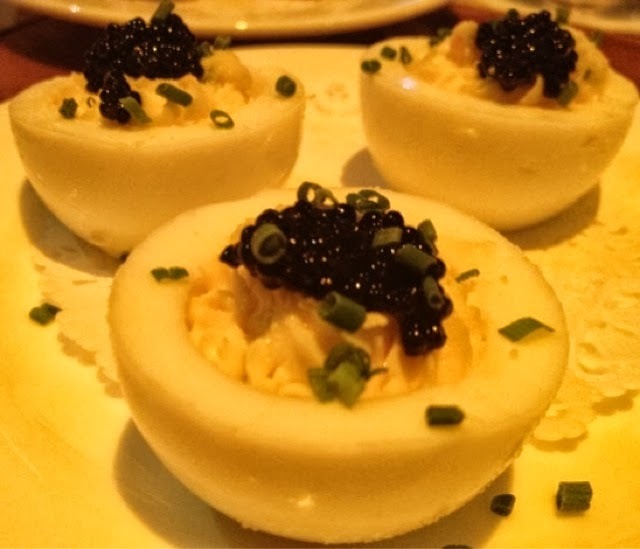 This seafood restaurant has discounted bites like deviled eggs with caviar, lobster croutons, and champagne cocktails. Lure has a way of making luxurious snacks affordable. 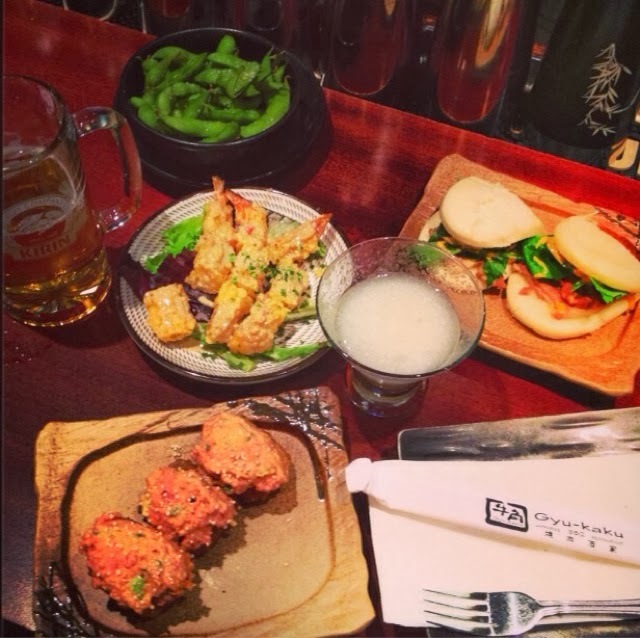 Japanese small plates with beer has never been more affordable than at this happy hour! Certain weeknights have certain specials. 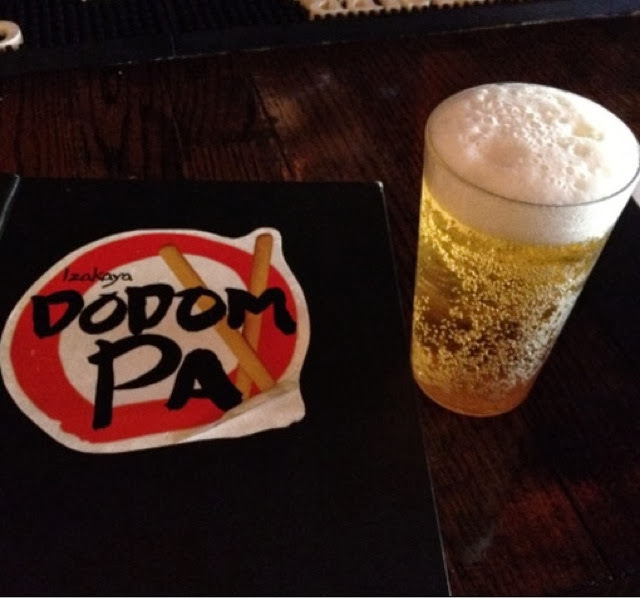 Tuesday, for example, is dollar Sapporo night from 5-7PM! Compliment you beer with a plate of takoyaki octopus balls. Other nights involve an ALL-YOU-CAN-DRINK sake special. Be careful, you may be crawling home.